Metal Gear Solid V: Ground ZeroesMarch 18, 2014Unvealed during Kojima's PAX Prime 2012 panel, Metal Gear Solid: Ground Zeroes is the first open-world adventure in the MGS series. The introduction to a new type of warfare from the critically acclaimed Kojima Productions, METAL GEAR SOLI..
Metal Gear Solid V: The Phantom PainSeptember 01, 2015Metal Gear Solid V is both Metal Gear Solid: Ground Zeroes and The Phantom Pain combined. "V has come to.".. 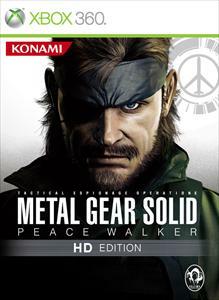 Metal Gear Solid: Peace Walker HD EditionNov 8, 2011 (US)1974 The Peace Walker Incident The era is the 1970s. Big Boss has stationed his "Army without a Nation" in Colombia, South America, where he is approached by visitors from Costa Rica-- "a Nation without a Military." In the wake of.. Zone of the Enders HD CollectionOct 30, 2012 (US)The Zone of the Enders HD Collection includes both the original Zone of the Enders and its sequel, Zone of the Enders: The 2nd Runner. Hideo Kojima's legendary series Zone of the Enders arrives on Xbox and PS3 for the first time with the highly-an..